A Danish study, lead by scientists at the Maastricht University Medical Centre in the Netherlands, has suggested that women need only do a certain amount of exercise a day to reap the benefits. 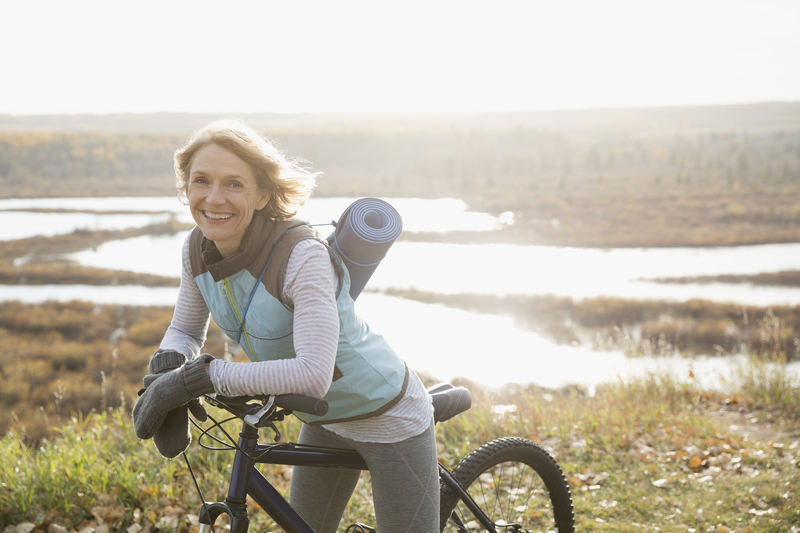 Researchers studied the physical activity of 8,000 people in their late 60s for 22 years, and found that the benefits of exercise for women peaked at 60 minutes a day. Writing in the BMJ Journal of Epidemiology & Community Health, the scientists also found that while women got the most out of exercising for an hour each day, exercising for any more time than that provided little to no benefit. The perfect excuse! Moderate exercise was included in the study – meaning things like gardening, dog walking and cycling are great options to up your physical activity. And they also found that the amount of physical activity was directly linked to how long the study participants lived. It was revealed that women who actually did do 30-60 minutes of exercise a day were 21% more likely to live to the age of 90, than those who did less than half an hour. If they did over 60 minutes, the chances of living to 90 came to a standstill – and over that, the chances actually fell. Men’s chance of living to 90, on the other hand, increased the more exercise they got in in a day, with those who did 90 minutes a day having a 39% higher chance of living into their 90s. It’s not clear why there is a difference in the way physical activity affects men and women, but scientists suggest that it could be down to unchangeable factors, such as our genetics and hormones. There was also another part of the study, which looked at how weight gain affected how long you can expect to live. For women, it was found that those who had gained the least weight over the course of their lives had a better chance of living to their 90s. They were asked how much they weighed in their 20s, and it was found that keeping your weight steady helped them to live a longer life. Of course, it’s probably no surprise that exercising and keeping yourself at a sensible weight can help with your life expectancy – and it’s important to remember that the study’s findings are not sure-fire ways to live longer.